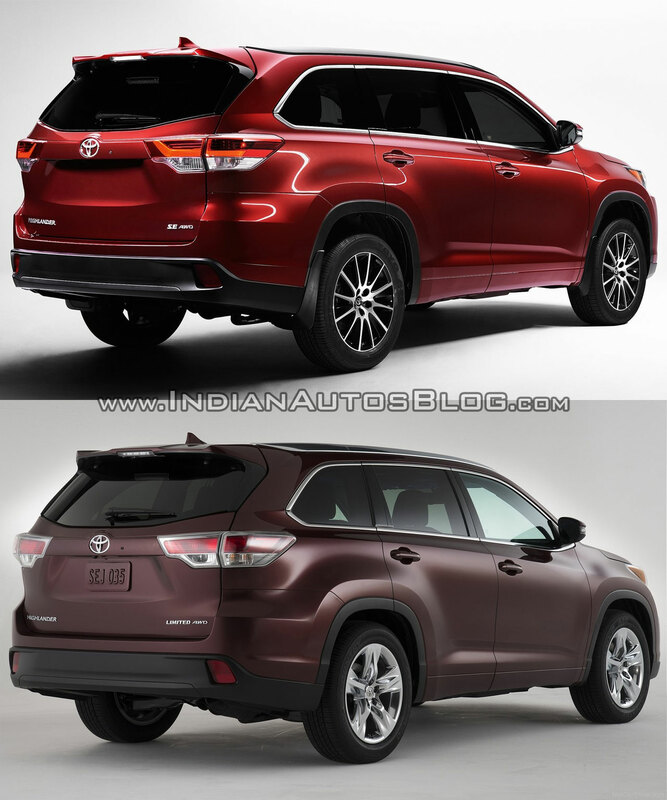 Unveiled at the 2013 New York International Auto Show, the third generation Toyota Highlander (Toyota Kluger) went on sale in February 2014. At the 2016 New York International Auto Show on March 23, the company will unveil a facelifted version of the same, which will go on sale in Fall 2016 (September - December 2016). 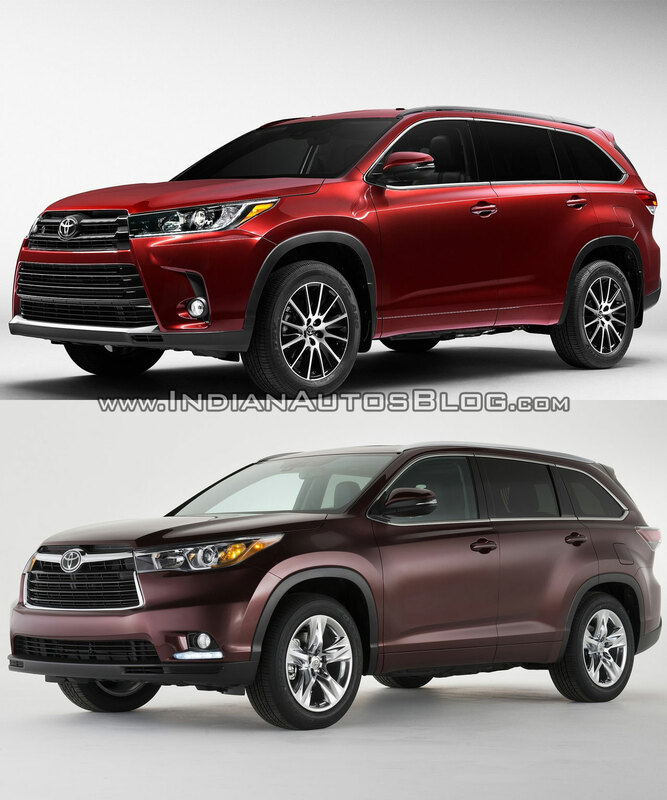 Here's a pictorial comparison between the 2017 Toyota Highlander and pre-facelift Toyota Highlander. New SE grade has been added to the gasoline model range. The 2017 Toyota Highlander model range has been expanded with the addition of a sportier SE grade for the gasoline model and LE and XLE grades for the hybrid model. The 2017 Highlander will be available in LE, LE Plus, XLE, SE, Limited and Limited Platinum grades while the 2017 Toyota Highlander Hybrid will be available in LE, XLE, Limited and Platinum Limited grades. The new Salsa Red Pearl colour is exclusive to the SE grade. 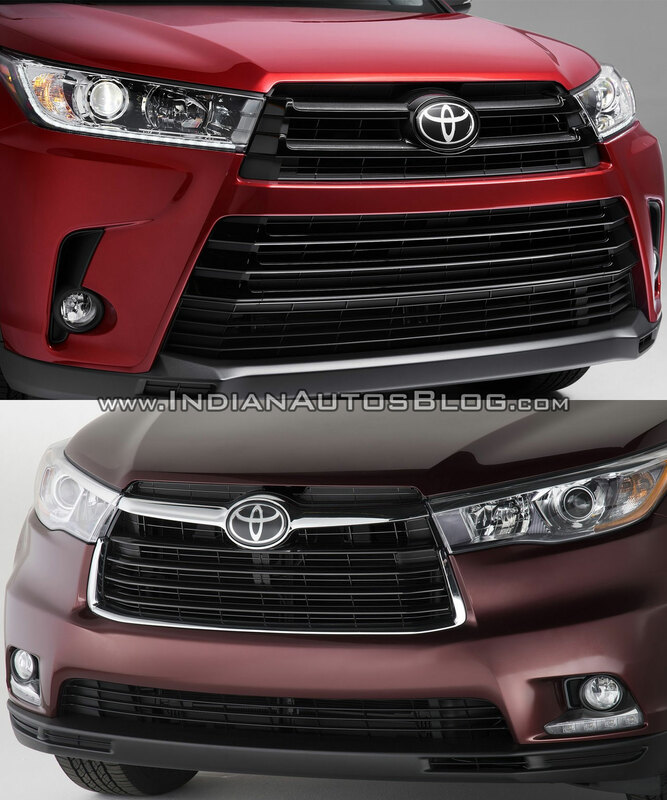 The 2017 Toyota Highlander features a new upper and lower front grille design. Each grade has its own distinguishable grille finish that is also seen in the headlamp housing. The LE, LE Plus and XLE grades feature a silver grille while the Limited and Platinum Limited grades get a chrome grille. At the rear, the tail lights are tweaked for a sleeker look, and there's a chrome trim garnish on the rear bumper of Limited and Platinum grades. Three new choices have been added to the colour palette: Celestial Silver Metallic, Toasted Walnut Pearl and Salsa Red Pearl (SE grade exclusive). The SE grade features 19-inch aluminum alloy wheels, specially tuned suspension, and a dark paint treatment to the front grille, which is also seen in the headlamp housings and roof rails. The SE grade also features exclusive black leather-trimmed seats. The facelift brings new brown leather interior for the Limited Platinum grade and four additional USB ports taking the total number to five. 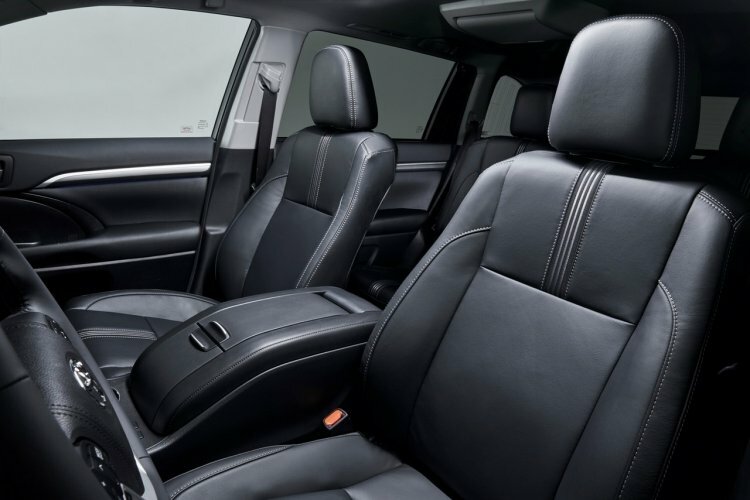 The new SE grade is distinguished with unique black leather-trimmed seats with silver stitching and pattern seat inserts, a black front tray, and matching dashboard and door inserts. New Toyota Safety Sense P safety package is standard across the range. New Toyota Safety Sense P safety package is standard across the 2017 Toyota Highlander range. It includes Automatic High Beams, Dynamic Radar Cruise Control, Pre-Collision System (with Forward Collision Warning and automatic emergency brake), Lane Departure Alert (LDA) and Pedestrian Pre- Collision System. The XLE grade gets Blind Spot Monitor (BSM) system as standard now while the Limited Platinum grade gains Bird's Eye View Camera with Perimeter Scan the same way. A new and more powerful 3.5-liter V6 gasoline engine takes charge under the hood, paired to a new 8-speed AT in place of the 6-speed unit. 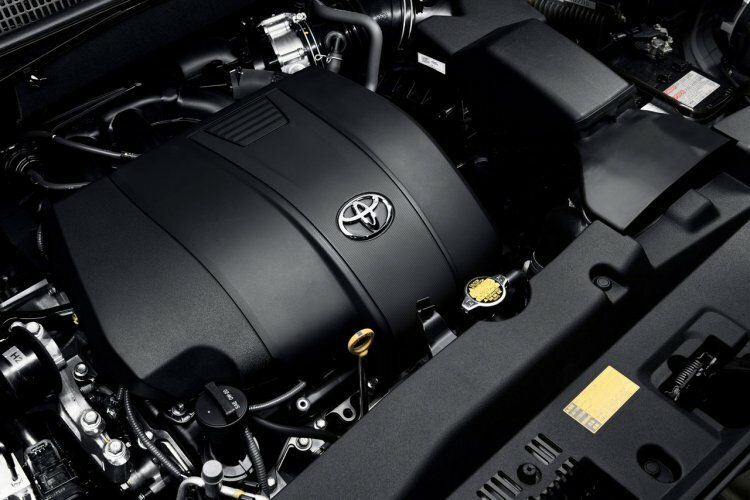 A new version of the 3.5-liter V6 gasoline engine takes charge under the hood of both gasoline and hybrid models. It is mated to a new 8-speed automatic transmission which is more compact and efficient compared to the old 6-speed automatic transmission. The 2.7-liter four-cylinder gasoline engine and 6-speed automatic transmission continue on the base configuration.